For the first time, Munro has brought his electrifying light-based artwork to the West Coast at the Montalvo Arts Center. And for him, there was no better place than the Bay Area to debut his work. 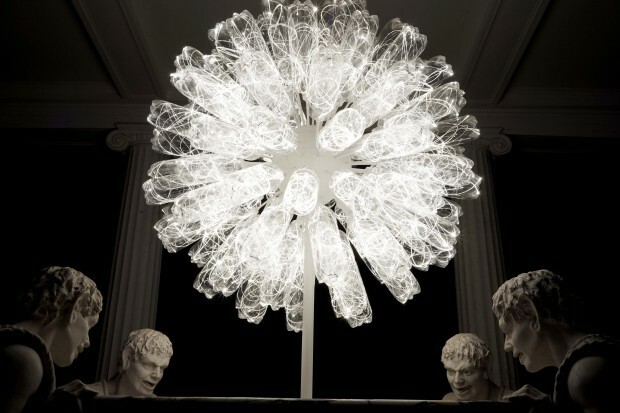 "Baccus' Spring" is one of ten light works by British Artist Bruce Munro now on display at the Montalvo Arts Center. 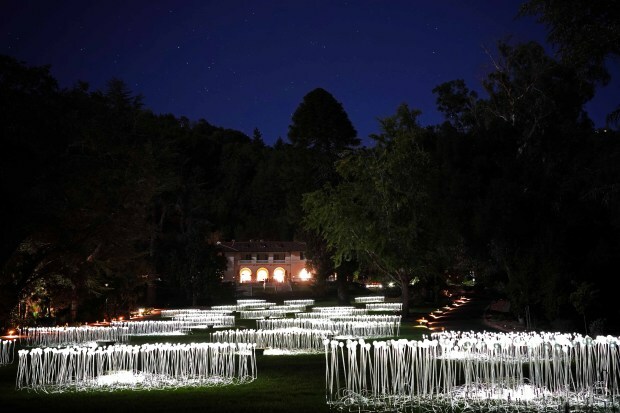 The "Silver Sea" covers the majority of the Great Lawn at the Montalvo Arts Center for British artist Bruce Munro's latest exhibition, "Stories ion Light." Regardless of the method used to light the art, for Munro light is just another medium of expression. “All I’m hoping is that people will come here and they’ll go away with a positive feeling and they have had a good time,” Munro said. Munro’s “Stories in Light” will be on display at the Montalvo Arts Center until March 17, 2019 with more than 90 opportunities for public viewing. "Gathering of the Clans" is one of ten light works by British Artist Bruce Munro now on display at the Montalvo Arts Center. 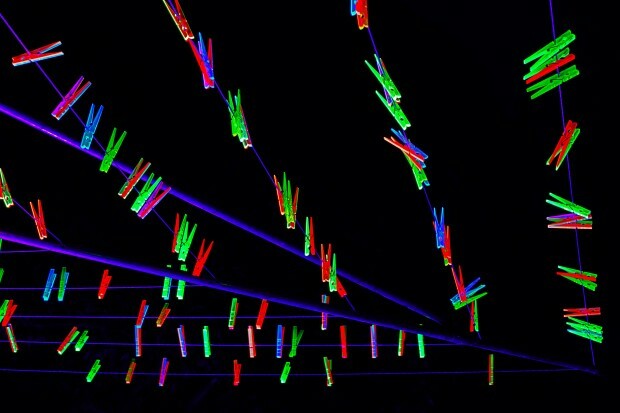 The piece features fluorescent dye-cut clothes pins hanging on wires.